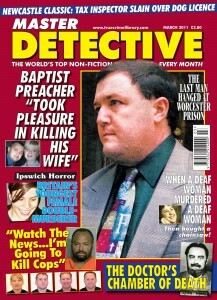 No one can say with any certainty if Richard Brinkley killed more than two people. But one thing is sure – as soon as he got to know a woman she did not have long to live, read this great story from Croydon, Surrey. 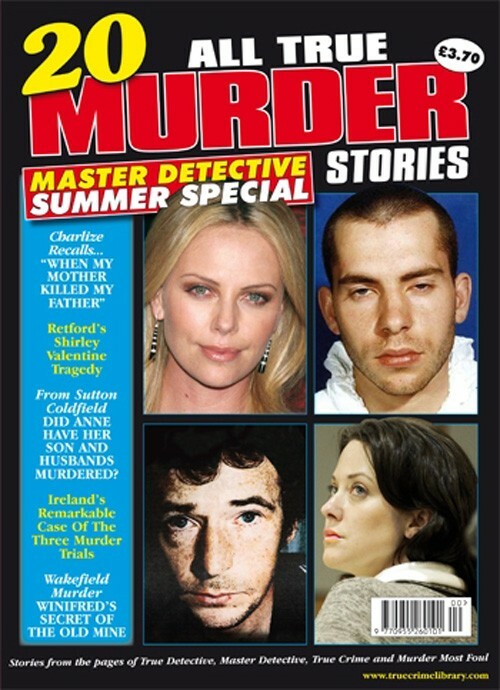 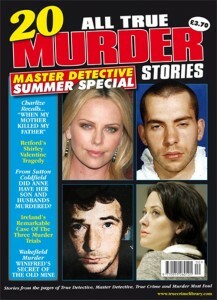 Charlize Theron "When my mother killed my father"
We have a pretty impressive archive of back issues, which we use all the time for research. 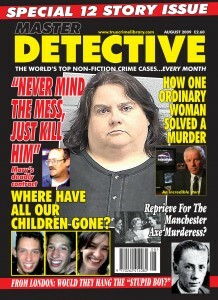 But somewhere along the line we lost our only copy of our very first issue. 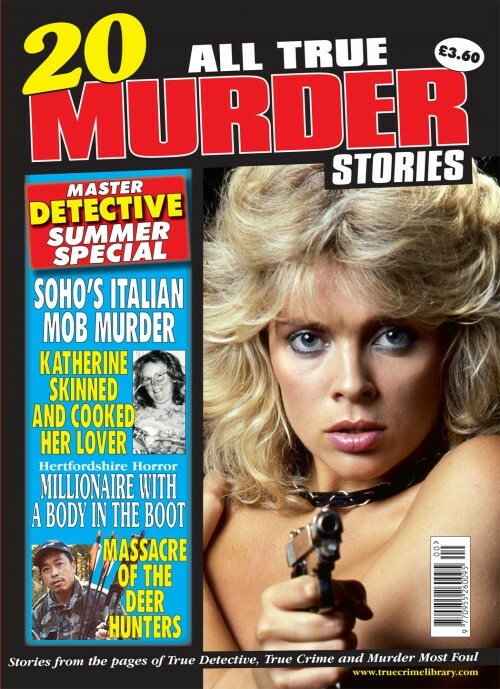 Serial killers are often depicted as cold, calculating fiends who carry on their gruesome pursuit with a terrifying and chilling intelligence. 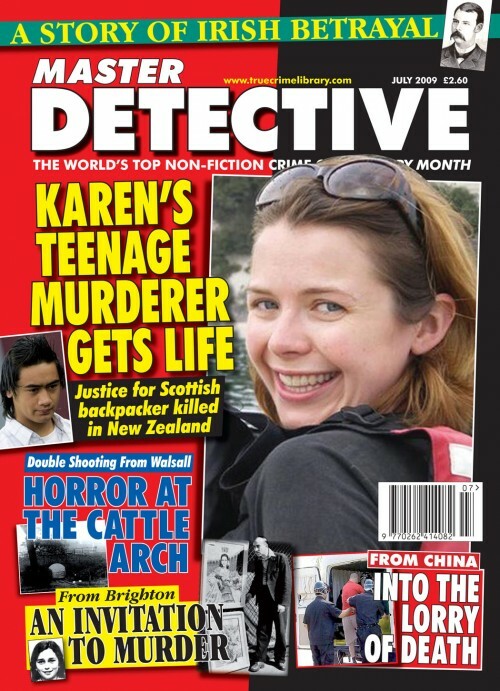 The fate of a British father of five was sealed from the moment he put his suitcase down in front of the Chinese customs officers. 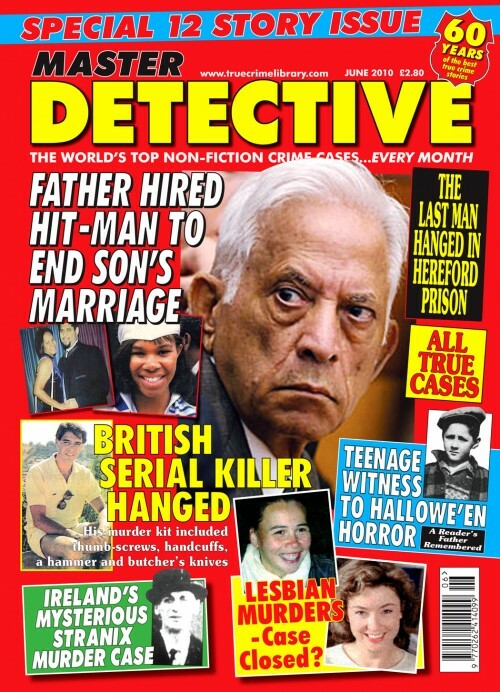 On May 29th, 1868, over a thousand years of tradition in Britain and Ireland ended when capital punishment in public was ended. 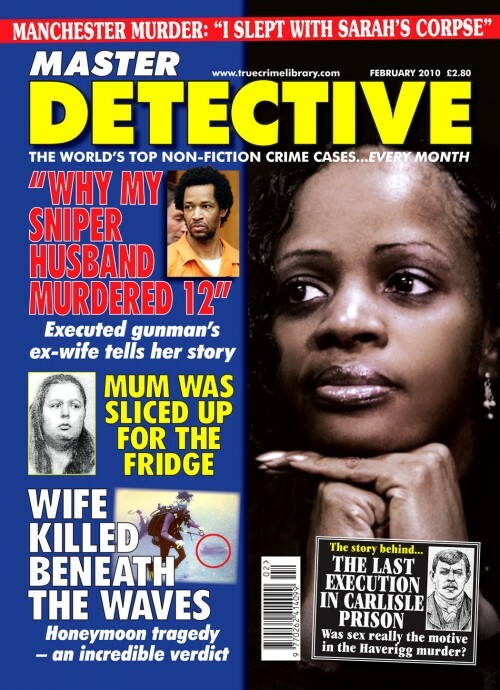 The so-called Washington Sniper, John Allen Muhammad, was put to death by lethal injection in Virginia in November 2009. 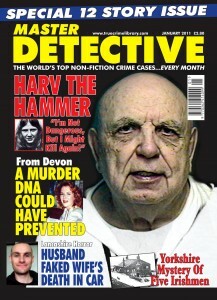 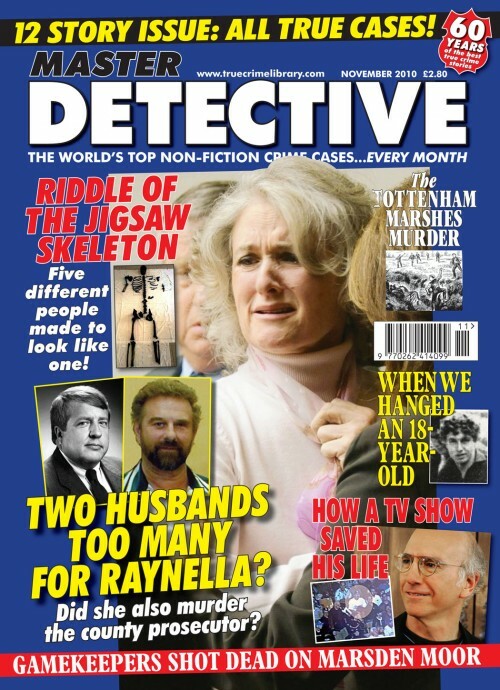 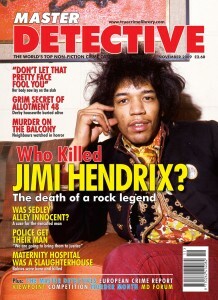 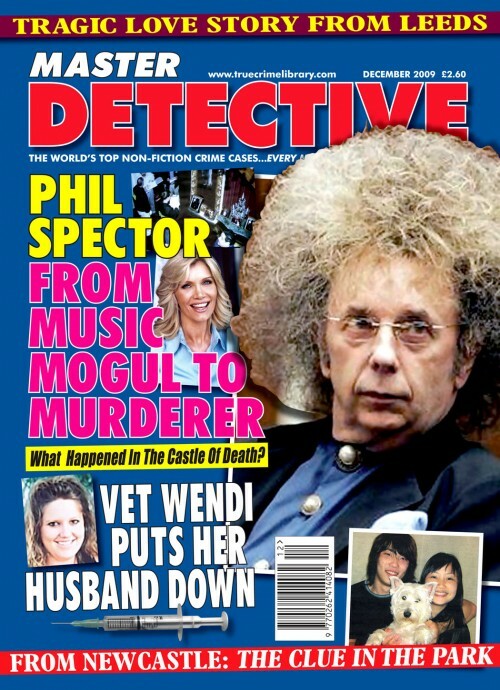 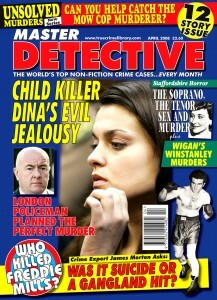 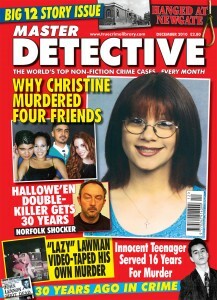 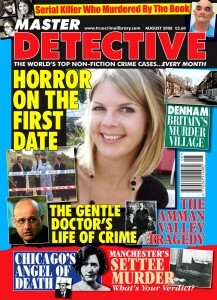 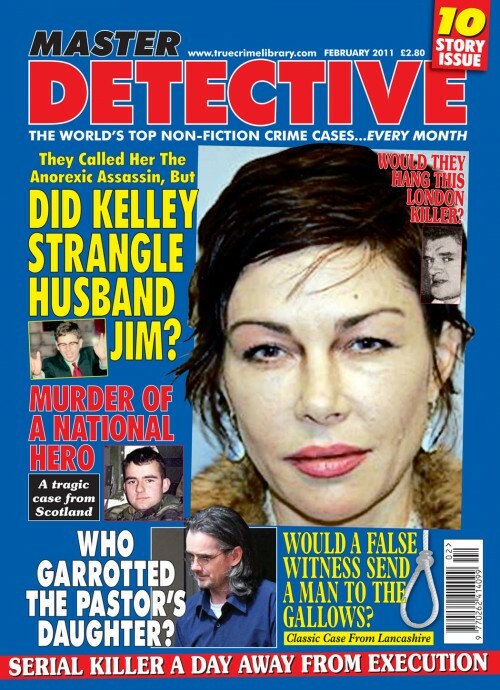 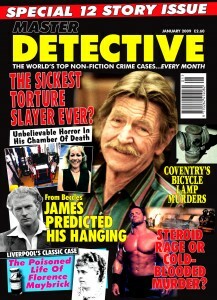 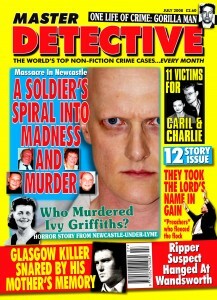 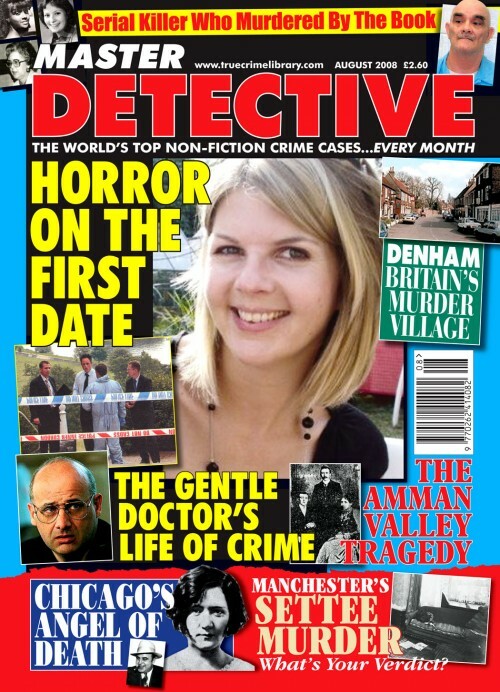 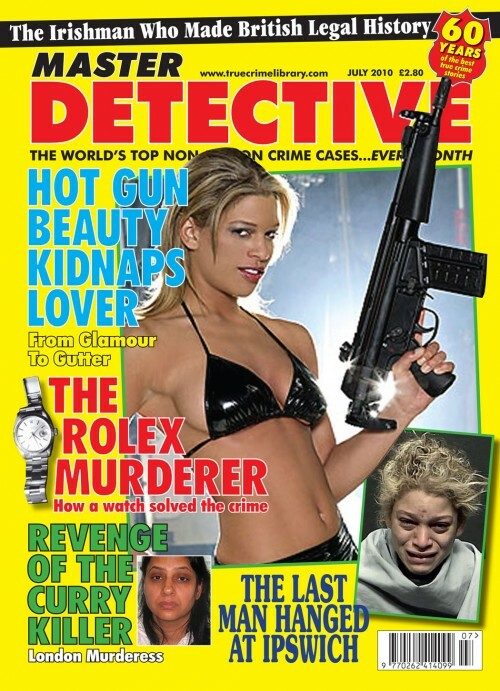 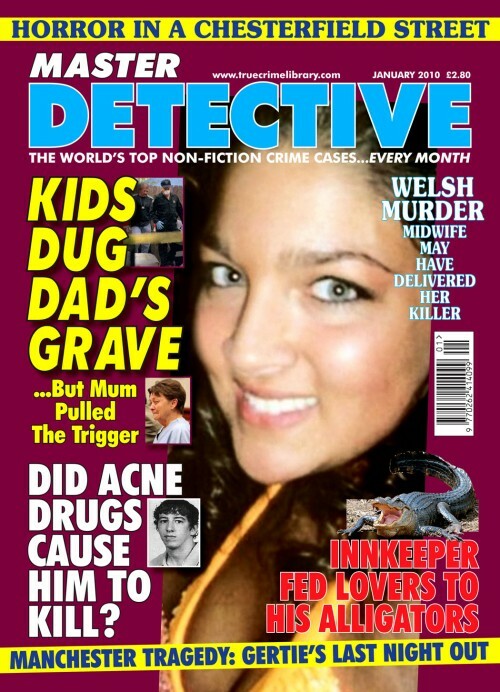 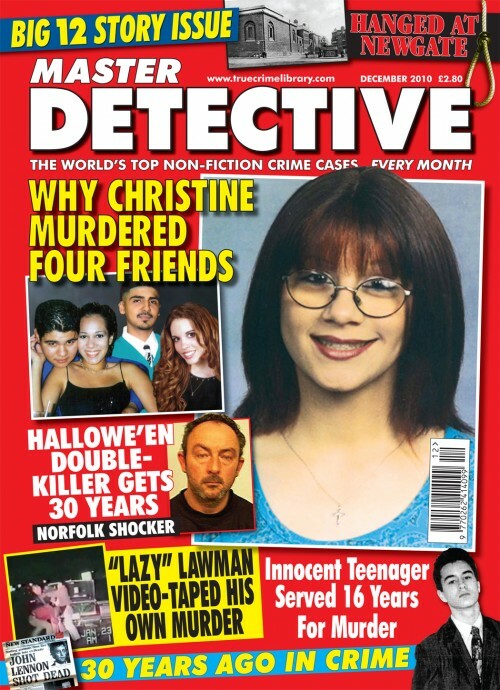 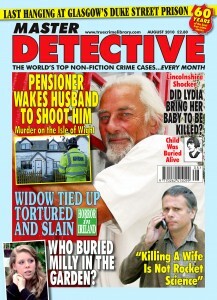 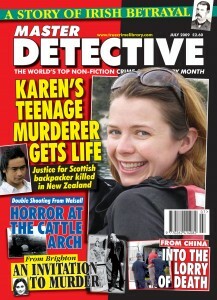 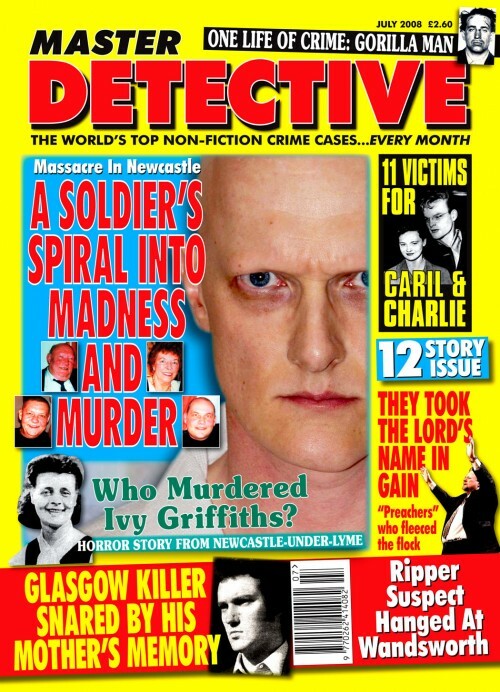 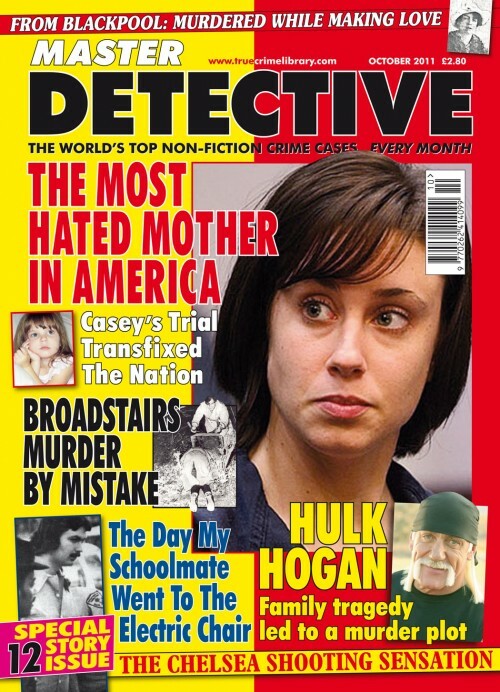 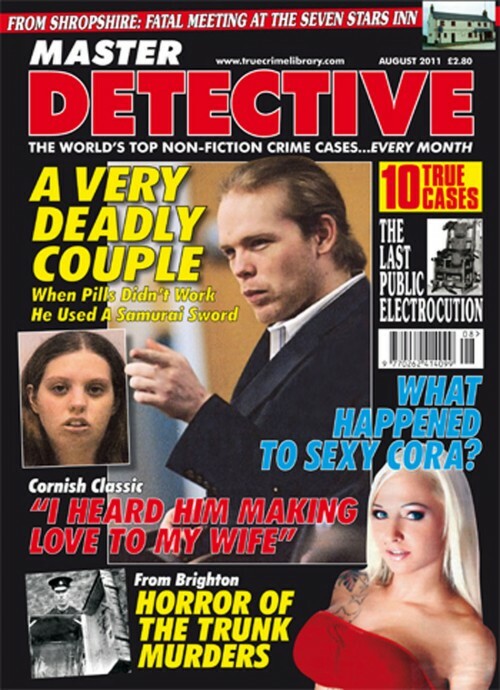 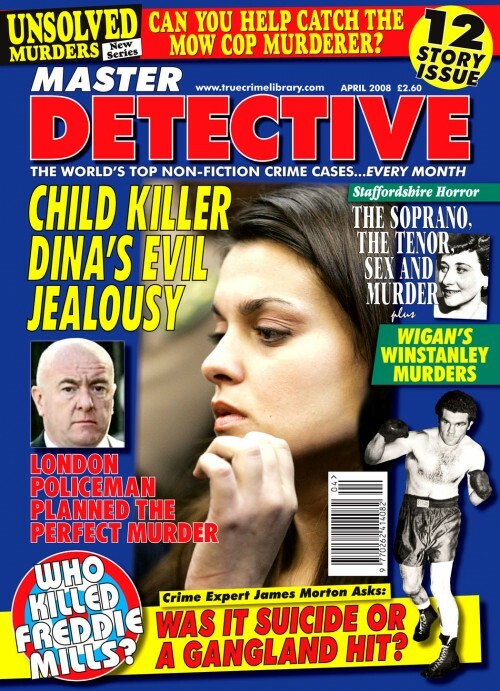 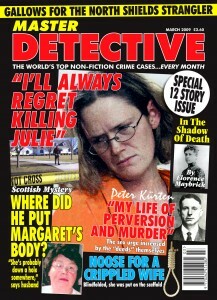 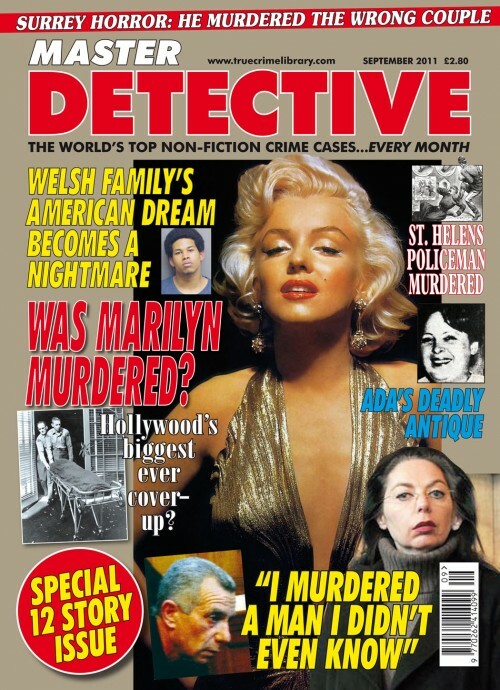 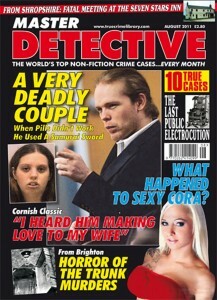 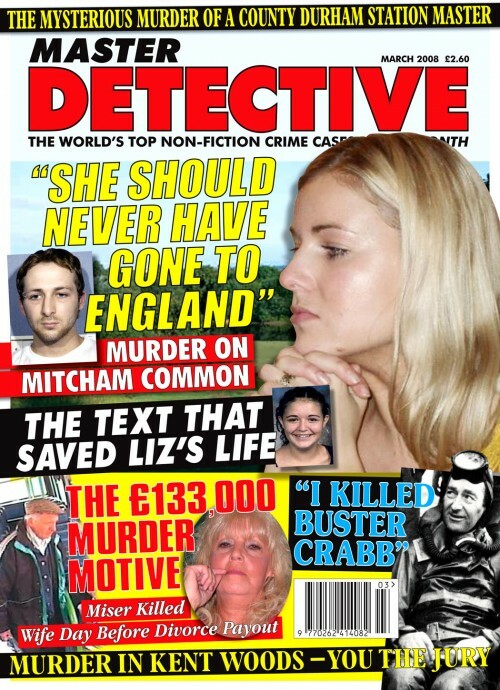 This issue sees the start of two new series. 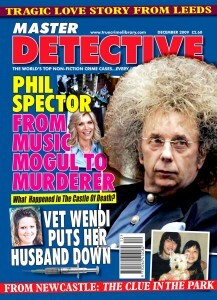 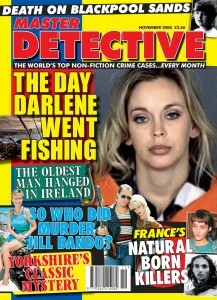 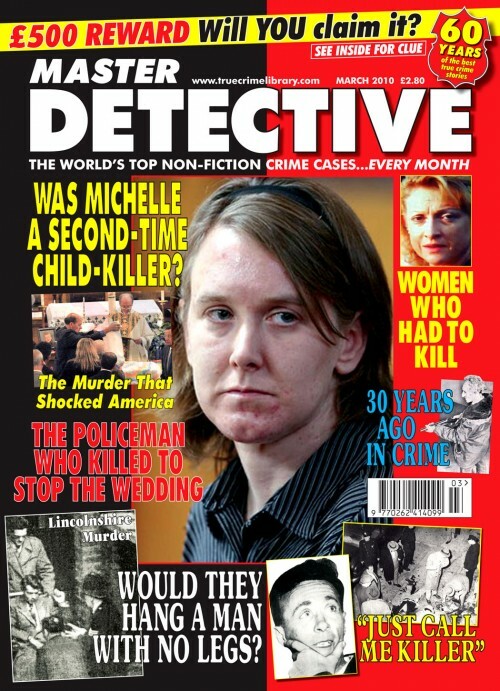 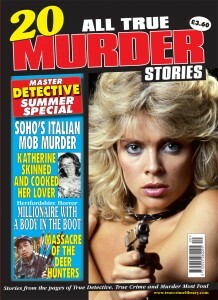 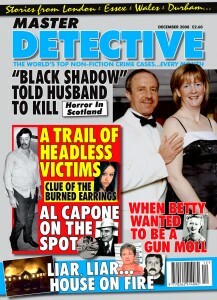 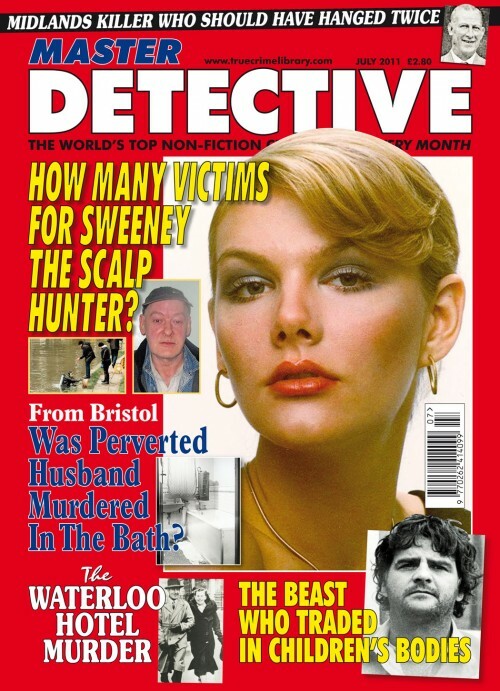 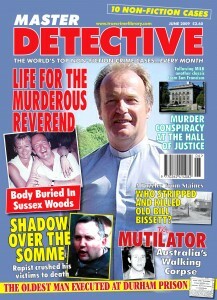 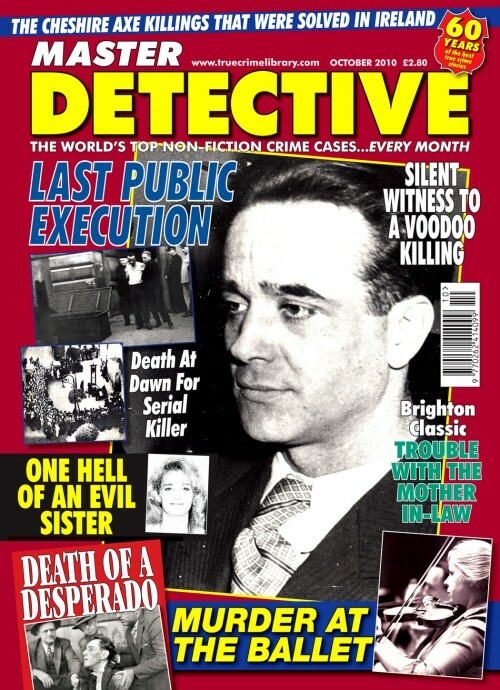 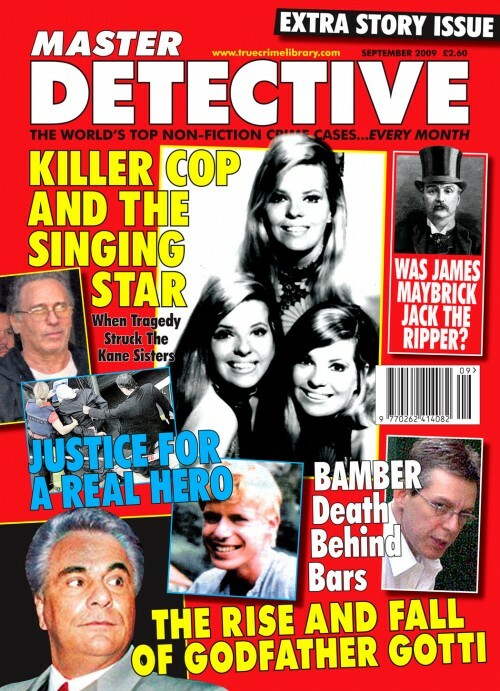 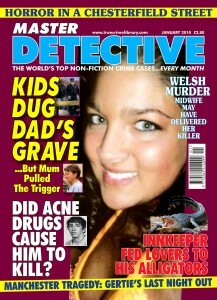 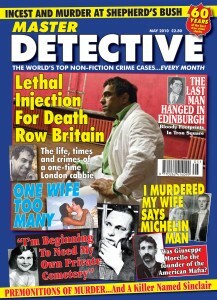 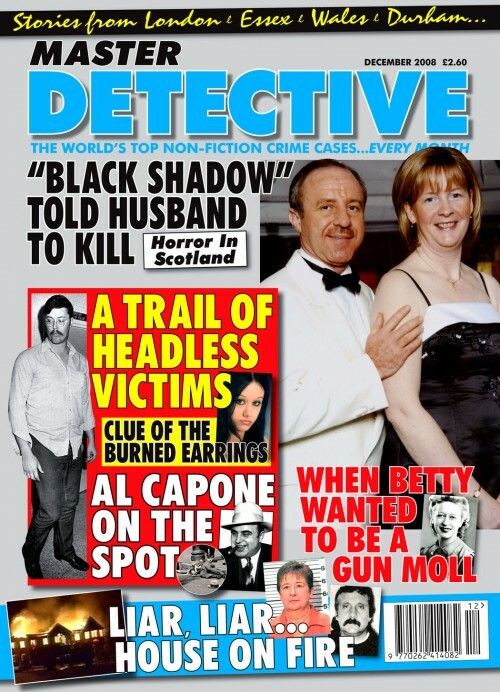 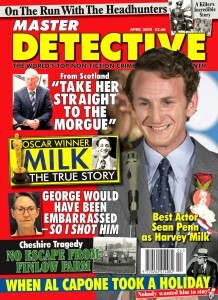 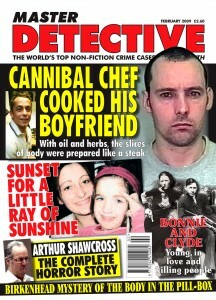 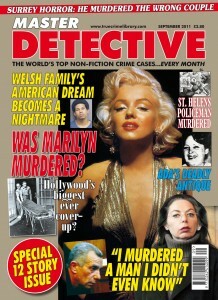 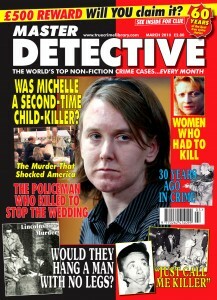 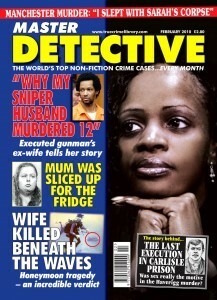 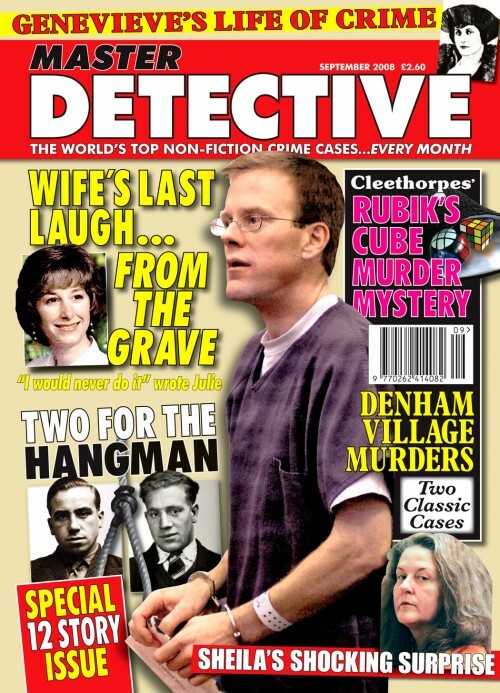 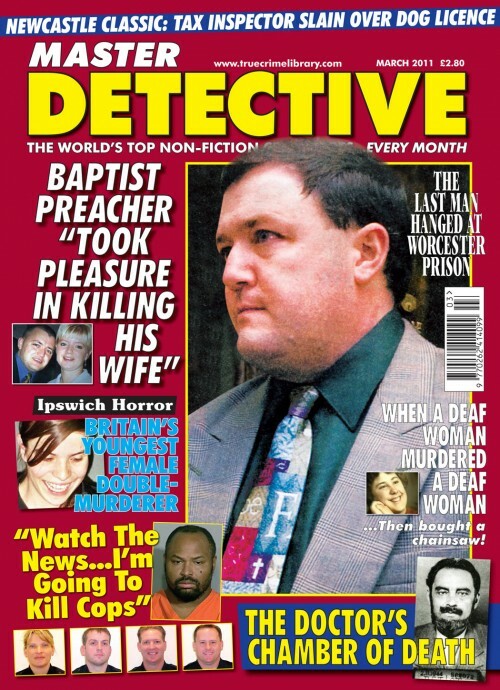 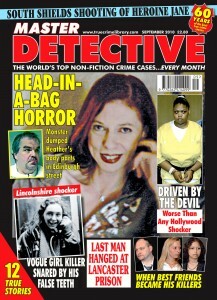 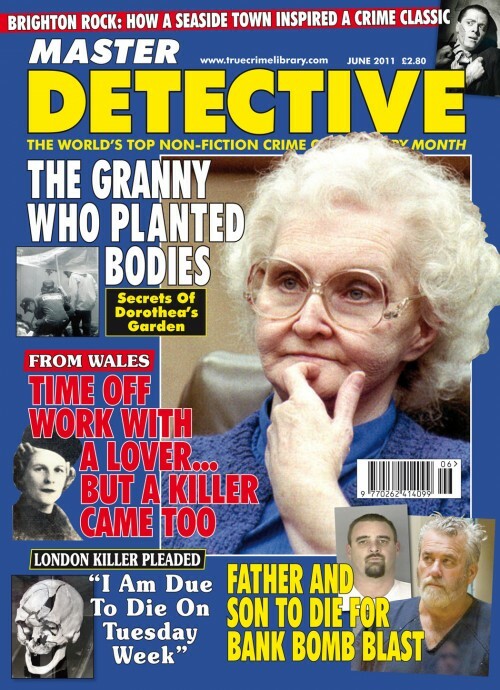 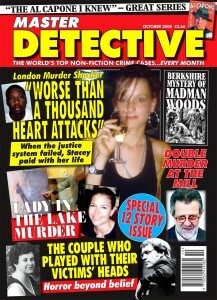 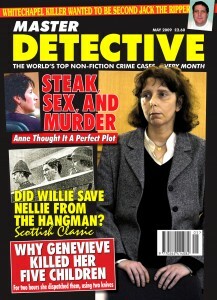 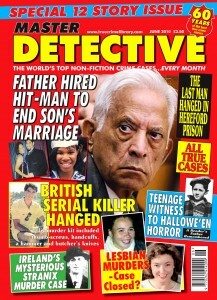 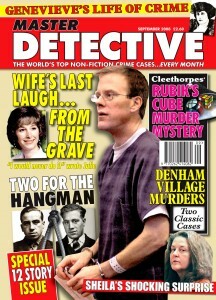 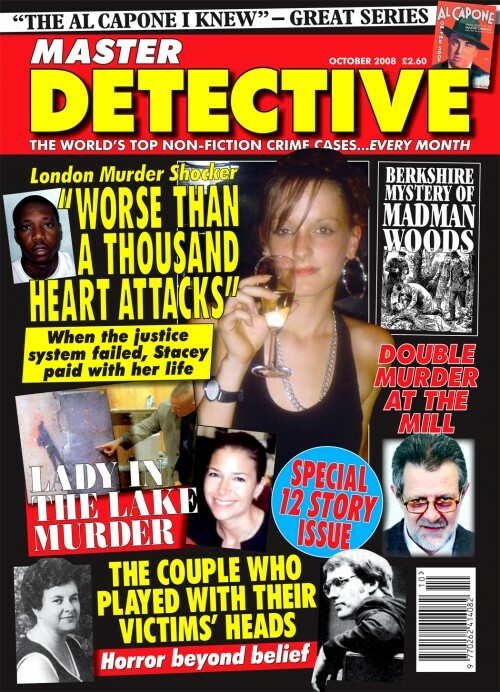 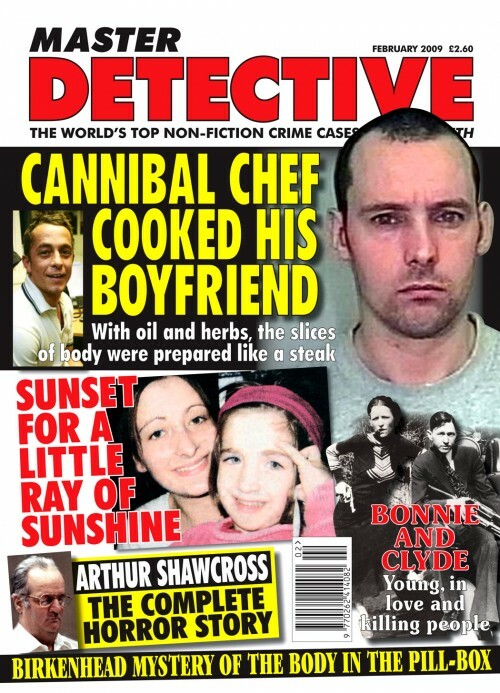 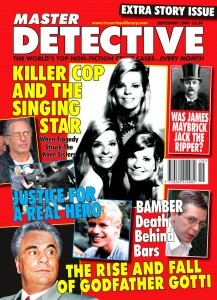 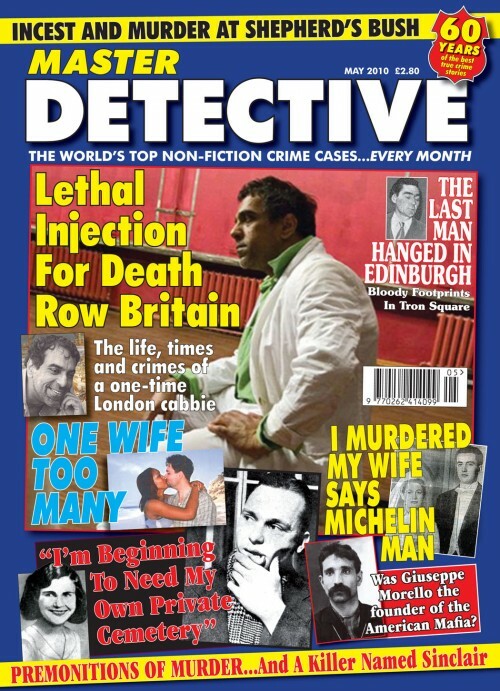 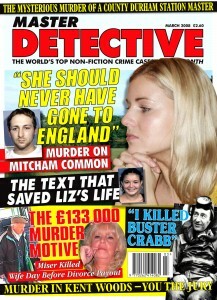 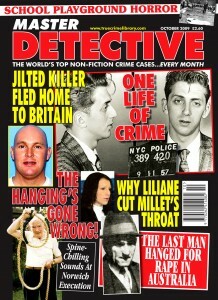 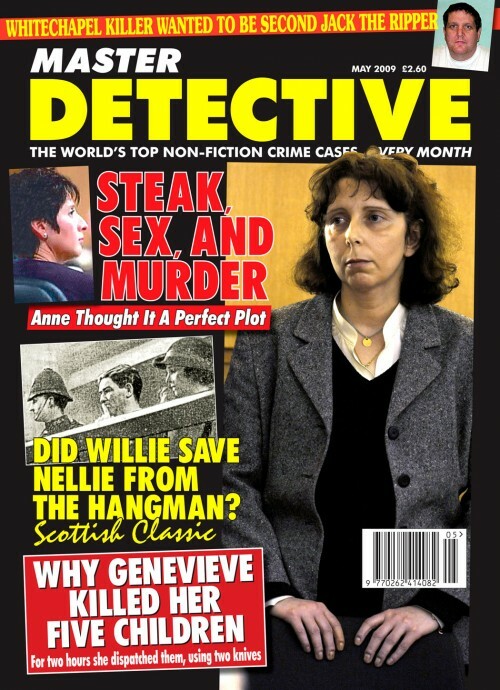 The feature 30 Years Ago In Crime which takes a look at some of the headlines from years gone by. This month we continue the drama surrounding fervent Irish patriot Dr. Patrick Cronin who was last seen climbing into a horse-drawn rig in Chicago. 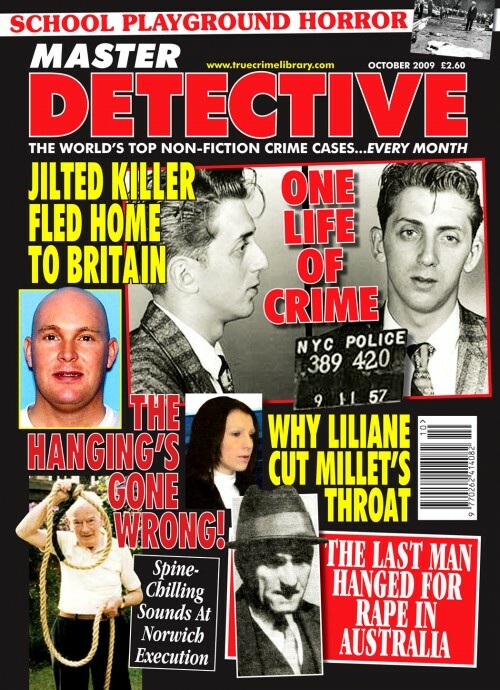 “When I read about the murders in the paper it was as if it was all a dream. 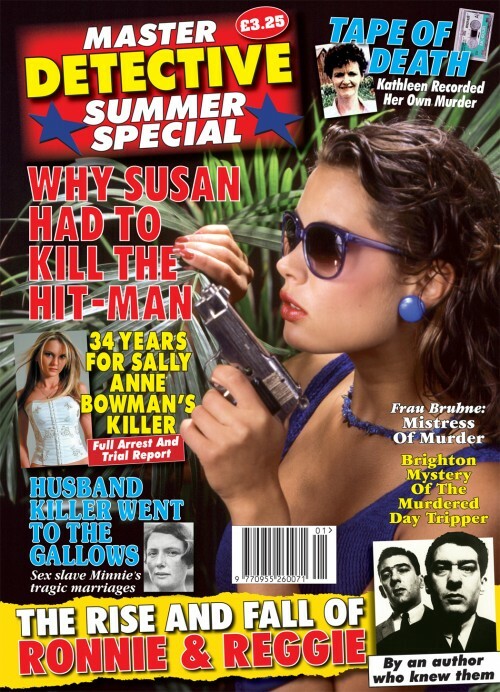 Then I would resume my life as normal until the urge to kill the soldier came over me again and I’d go on the hunt again. 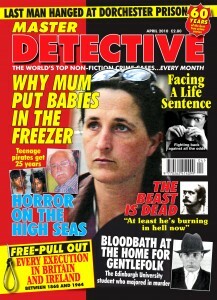 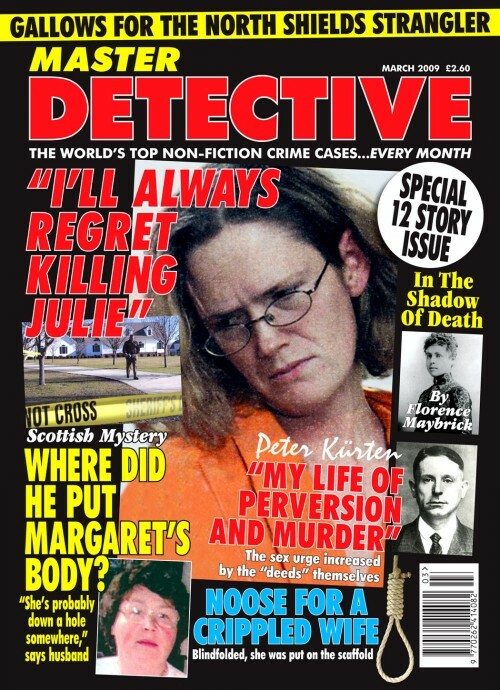 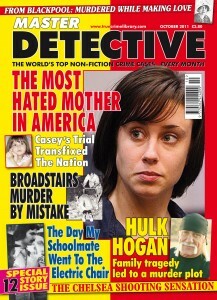 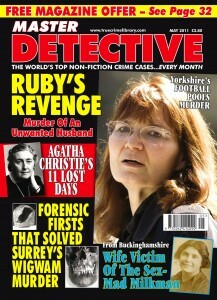 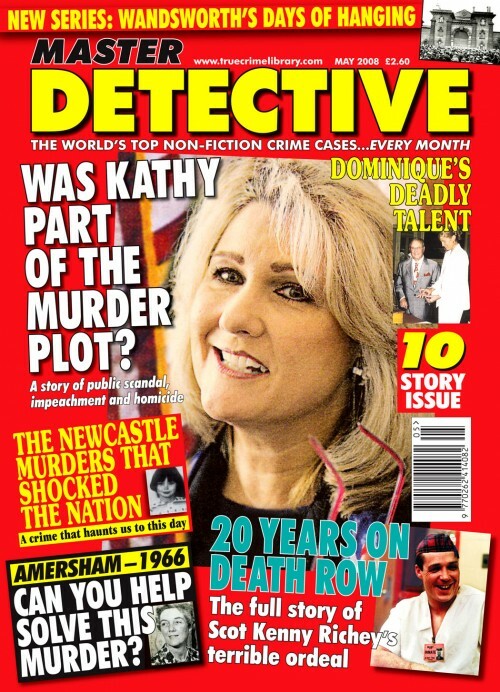 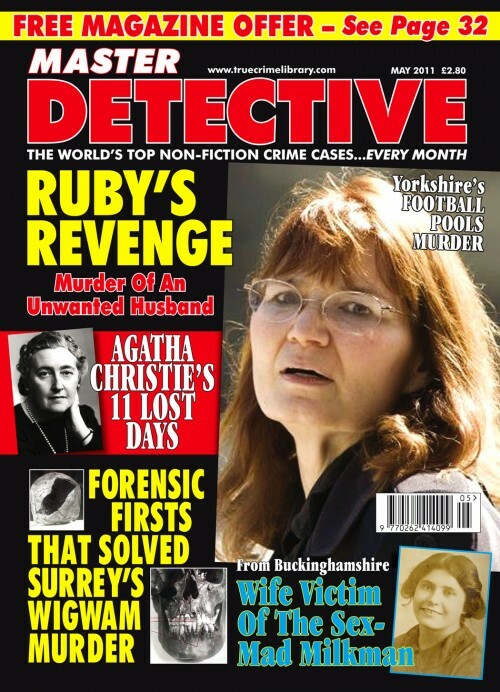 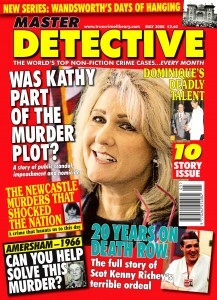 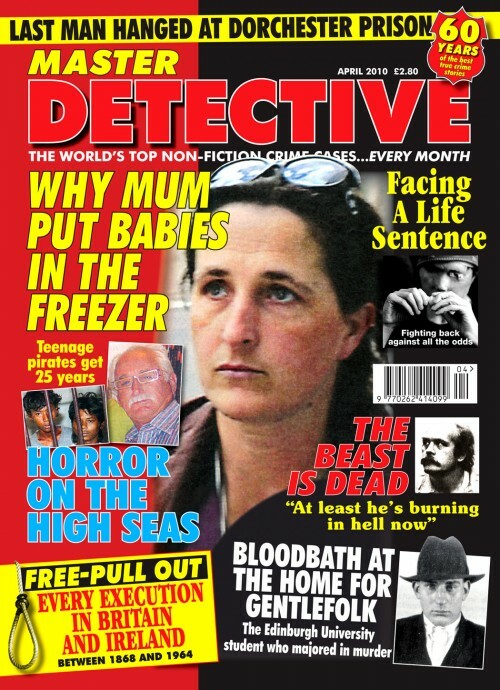 •34 years for Sally Anne Bowman’s killer. •The rise and fall of Ronnie & Reggie Kray. 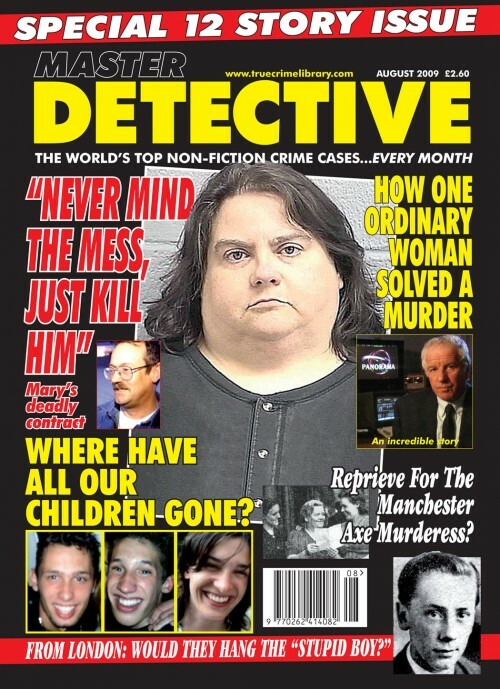 •Tape of death. 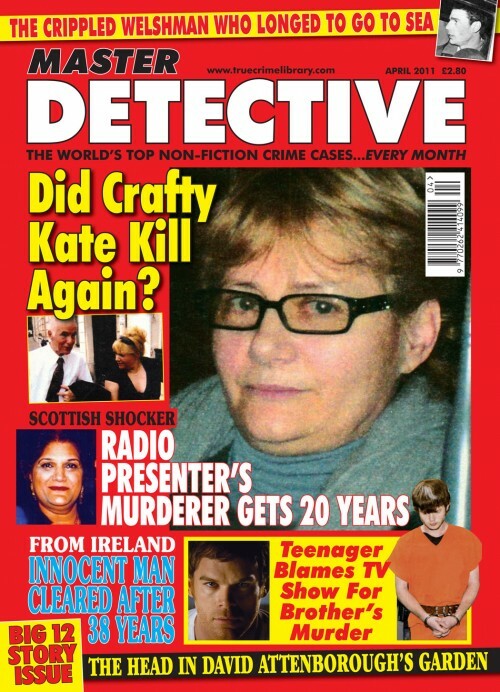 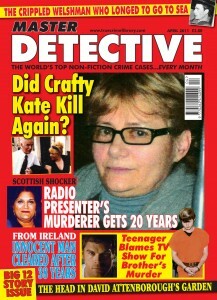 Kathleen recorded her own murder.